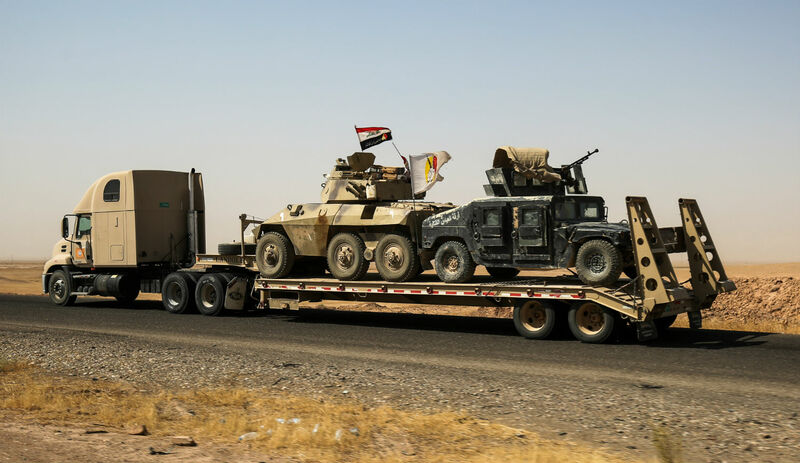 A truck tows armored combat vehicles belonging to an Iraqi anti-Islamic State paramilitary group on August 31, 2017. AHMAD AL-RUBAYE/AFP/Getty Images. During last year’s presidential campaign, Donald Trump promised to do a great deal more in the Middle East than his immediate predecessors, but with much less. That is, he would achieve significantly more than Barack Obama at a much smaller sacrifice of blood and treasure than was incurred under George W. Bush. This he would accomplish by defining American interests sharply and pursuing them aggressively, not to say ruthlessly. The result would be a global restoration of American credibility and, as Trump never ceased to remind voters, renewed global respect. As an act of political “signaling,” Trump’s blunt message was savvy. Many Americans, especially those in his base of supporters, regarded Obama as timid, weak, and more solicitous of enemies than of friends; Bush, they believed, had been strong in some ways but prone to quixotic adventures like building democracy in the Middle East, a putative sin of which Obama had at least been innocent. Trump offered an attractive alternative: a hybrid approach that would combine the best qualities of his predecessors in office while jettisoning their worst inclinations. “America First” meant placing a Bush-style readiness to use military force in support of a leaner, Obama-style agenda that nixed democracy promotion. Unlike Bush, Trump would resist thankless nation-building projects; unlike Obama, he would reward friends and punish enemies. Exactly how Trump intended to translate this framework into concrete policy started to become clear only after the election. As he appointed his national-security team, four major policy goals in the Middle East came into focus. First in line was the swift defeat of Islamic State (IS). Second, the Trump team was keen to improve relations with America’s traditional allies in the region, especially Israel, who had felt abandoned by Obama. Third, the administration would push back aggressively against Iran’s hegemonic regional ambitions while also renegotiating the 2015 agreement on Iran’s nuclear program. Finally, Trump was personally eager to explore the possibility of a strategic accommodation with Russia, especially in Syria. These goals were not and are not obviously compatible with each other. The most significant contradiction has emerged between, on the one hand, Trump’s desire to defeat IS with the smallest possible commitment of American ground forces and, on the other hand, his intention to contain Iran. In the event, as we shall see, the administration has chosen to prioritize the defeat of IS. In so doing, however, it has unconsciously assimilated much of the strategy developed by the Obama team in its final years, a strategy that consciously facilitated the rise of Iran and brought the policies of the United States into alignment with that goal. This alignment is now so extensive that any serious effort to contain or roll back Iranian power will require an equally lengthy and systematic effort to rethink American interests and reorder American policy. Such an effort will demand sustained presidential attention, the devotion of new resources, and, inevitably, the disruption of established relations with key allies. It will also bring down on Trump even more criticism than he is already receiving from pundits, allied nations, his own national-security bureaucracy, and, on a few key issues, his political supporters. In the short term, the path of least resistance for the administration has been to accept Obama’s terms and muddle through on that basis. Ultimately, however, the outcome of any such course of action is certain to be deadly—not only for Trump’s agenda but for the interests and the national security of the United States. At the heart of Trump’s dilemma are the binding restrictions that the 2015 nuclear deal with Iran, Obama’s signature foreign-policy initiative as president, has placed on the United States. But the nuclear deal itself was the direct outgrowth of an earlier decision in foreign policy, a decision at which Obama had arrived years earlier. Before he ever convened a meeting of the National Security Council, consulted with an ally, or received an intelligence briefing—indeed, before he ever set foot in the Oval Office in January 2009—Obama resolved to go down in history as the president who brought Bush’s wars to an end and who restructured relations with the Middle East. Obama had articulated this vision throughout his first presidential campaign. At every rally, he promised that he would avoid the calamitous misadventures of the past, especially as exemplified by the war in Iraq. To fulfill this promise, Obama’s first priority in office was to bring the troops home from that country. But how could the military withdraw without turning Iraq into a satellite of Iran? Obama declined to think in such terms. Rather, in keeping with a current of thought then circulating in national-security circles, he believed that the Middle East was altogether no longer as important to the United States as it once had been, and that, moreover, the fundamental interests of the United States overlapped with those of Iran (not to mention Russia). In the case of Iraq, whose stability was vital to both Tehran and Washington, those interests were especially well-matched. The United States, therefore, could tolerate a reduction of its influence and a tilt by Baghdad in the direction of Tehran. These strategic calculations made it relatively easy for Obama to pull American troops from Iraq in 2011 and to downplay the rapid political deterioration in the country that ensued in the aftermath of our withdrawal. And very similar calculations shaped his policy toward Syria as that country, in turn, descended into civil war in 2012. When some of Obama’s advisers and allies called for supporting the insurgency against Bashar Assad, the president dismissed their counsel with confidence. Military operations in Syria had no guarantee of success, he reckoned, and they could easily result in a quagmire. In addition, they would undermine the peace platform on which he was already campaigning for re-election. Above all, any significant American intervention in Syria would damage relations with Iran and Russia, the primary patrons of the Assad regime, whose goodwill Obama needed not just to stabilize Iraq but to cover the greater American withdrawal from the Middle East in general. 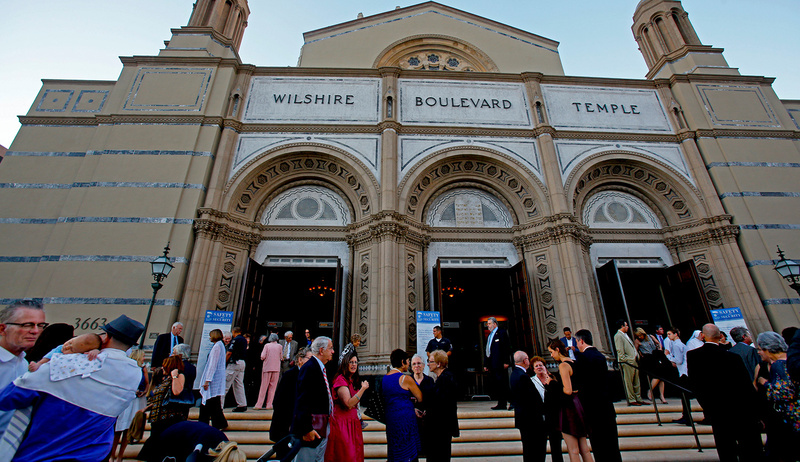 Obama dreamed of an entirely new Middle Eastern order. In place of American primacy, which had led to thankless military interventions, he would substitute a concert system, a club of powers. For, indeed, Obama’s vision now extended far beyond both Iraq and Syria. He was dreaming of an entirely new Middle Eastern order. In place of American primacy, which had led to thankless military interventions, he would substitute a concert system: a club of powers, including Russia and Iran, that together would manage the region’s chaos to mutual benefit. To be sure, bringing this club into being would require parking to one side the burgeoning dispute over Iran’s nuclear program: the single greatest impediment to a strategic accommodation with Tehran. It also required recognizing Syria as an Iranian and Russian sphere of influence. In the years to come, those two factors—the nuclear and the regional—would be intimately intertwined in Obama’s mind. As he saw it, active competition with Russia and Iran over Syria would scuttle the chances of achieving a nuclear agreement with Tehran, and failure to achieve a nuclear agreement would impede the cause of regional cooperation. In Syria, Obama’s grand concept spawned a hideously escalating cycle of violence and death. Russia, Iran, and their proxy Assad understood that they could brutalize the Syrian population without fear of reprisal from America. But instead of reconsidering, or countering Russian and Iranian aggression, Obama grew increasingly adamant and disdainful of critics who failed to appreciate his discipline, his “strategic patience.” For their part, Russia and Iran, seizing the opportunity, proceeded to establish themselves as the main arbiters of Syria’s fate, pulverizing the Sunni opposition to Assad and sowing discord among United States allies in the region. Those allies, sensing abandonment, in turn grew much more solicitous of Moscow and Tehran than they would otherwise have preferred to be. Negotiations with Iran over its nuclear program opened in 2013 and culminated two years later in the Joint Comprehensive Plan of Action (JCPOA) between Iran and the five permanent members of the UN Security Council (China, France, Russia, the United Kingdom, and the United States), plus the European Union. Misrepresenting the deal to the American people, Obama dressed it up as a successful application of coercive diplomacy; in fact, it represented a collapse of American power. Iran’s two goals in the negotiations had been to end any legal restrictions on the country’s nuclear program within a defined time horizon and to secure international recognition of Tehran’s right to enrich uranium. Obama offered both as an unreciprocated gift before the negotiations ever began. This preemptive American cringe set the tone for all subsequent stages of the negotiations, which were propelled forward by further concessions. Over the span of two years, Obama dismantled the architecture, built up brick by brick over the previous decade, designed to contain Iran’s nuclear ambitions. Thus, he ended all covert American efforts to sabotage the Iranian program and pressured Israel to end its efforts as well. He shut down investigations of Iranian networks dedicated to the illegal procurement of nuclear technology. He delivered to the Iranian government many tens of billions of dollars in cash at a moment when Tehran was starved of funds. Worst of all, he dismantled the international sanctions regime: the single best tool, short of military action, for punishing Iranian violations of any prospective agreement. According to Obama, the deal that was finally struck in July 2015 would block all of Iran’s pathways to a nuclear weapon; in reality, it has positioned Iran on a decade-long glide path to a bomb. True, the deal does restrict the amount of fissile material the Iranians can stockpile, while providing the international community with the ability to monitor Iranian production. But these restrictions are offset by the fact that the deal is temporary. After about a decade from 2015, probation ends and international law will treat Iran like a normal state actor, as benign as Belgium. And that is hardly all. Even during this period of international oversight, the deal will eventually permit Iran to modernize its capacity significantly by installing more sophisticated centrifuges that will increase its knowhow and productive potential. Almost as bad, the agreement lightened United Nations restrictions on Iran’s ballistic-missile program, thereby making it harder for the United States to punish Iran for fine-tuning the key delivery system for a nuclear weapon. The deal, in other words, commits the United States to shelter Iran’s nuclear program until it is sufficiently large and lethal to deter the outside world from damaging it. And that may happen sooner than anticipated. Prior to the deal, the most effective tool the Iranians had to force the hand of the West was the size of their already existing stockpile of enriched uranium. In November 2013, when the negotiations were announced, the International Atomic Energy Agency (IAEA) estimated Tehran had a three-month “breakout window”: the time required to produce enough weapons-grade uranium for one nuclear weapon. The major accomplishment of the nuclear deal was to extend that timeframe from three months to, at the very most, twelve. The extra nine months, however, has hardly reduced Iran’s leverage over the United States. In reacting to Trump’s recent threat to leave or renegotiate the nuclear deal, Ali Salehi, the head of the Atomic Energy Organization of Iran, stated that his country needs only five days to begin enriching uranium to 20 percent, a level much closer for use in a nuclear weapon than the 5-percent level mandated by the deal. In other words, should the United States abandon the deal, Iran can very quickly regain all of the leverage it enjoyed when the negotiations began. Has Washington been altogether outflanked, or can Trump do anything to seize the advantage? In fact, very little. Suppose he were to withdraw from the deal, and the Iranians were to respond by enriching to 20 percent. The obvious next step would be to impose economic sanctions. Such a move would have no immediate impact on Iran, and meanwhile the steadily growing stockpiles of uranium would put Washington in a position either of doing nothing or of threatening military action to prevent Iran from closing its breakout window. The latter option would hardly play well with major actors on the international scene, including leading American allies in Europe, who would regard Trump’s decision to abandon the deal and to impose sanctions as a violation by the United States of a promising international agreement. After all, they would argue, Iran was in compliance; it was Trump who trashed the deal. The disgruntled Europeans would also make common cause with Trump’s American critics, including those in the national-security apparatus who support the Iran deal. A vociferous transatlantic political campaign would depict Trump as a warmonger, even as Iranian enrichment to weapons grade proceeded apace. With Tehran posing as the very picture of international rectitude, Russia and China would also intervene on its behalf at the United Nations, blocking any effort by the United States to reopen the nuclear file. Trump faces an ugly choice: if he stays with the nuclear deal, Iran is on its way to a bomb. If he leaves it, he triggers a crisis without any guarantee that he’ll actually regain the leverage ceded by Obama. Thus, by dismantling the sanctions regime, did Obama create an international lobby in favor of the new policy of incubating Iran’s nuclear program. For America’s European allies, Iran’s violations of the deal are extremely minor, mere annoyances when weighed against the positive options, economic and otherwise, unlocked by the agreement. 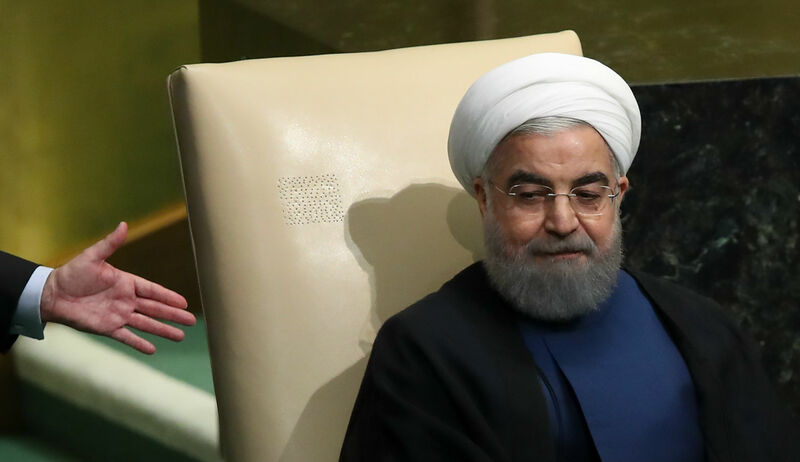 Indeed, many European diplomats see the nuclear accord as a tool for empowering pro-Western Iranian moderates, a species allegedly represented by President Hassan Rouhani, now riding high after his recent reelection. This variation on the Obama administration’s conceit that American diplomacy would generate moderates in Tehran amounts to so much wishful thinking, but it is deeply seductive because the alternate view forces the United States to take difficult and unpopular actions with an uncertain outcome. In summary, Trump faces an ugly choice: if he stays with the nuclear deal, Iran is on its way to a bomb. If he leaves it, he triggers a crisis without any guarantee that he will actually regain the leverage ceded by Obama. Trump clearly resents this nuclear conundrum, which rears its head every 90 days when the president, by law, must inform Congress whether Iran is meeting its obligations under the terms of the agreement. Twice, at the strong urging of our European allies, Trump has certified Iran to be in compliance. And twice he has shown palpable displeasure at having done so, arguing most recently to the Wall Street Journal that “it’s the wrong thing. They don’t comply.” And yet, faced with the prospect of triggering a major international crisis, he has twice let the Iranians skate. 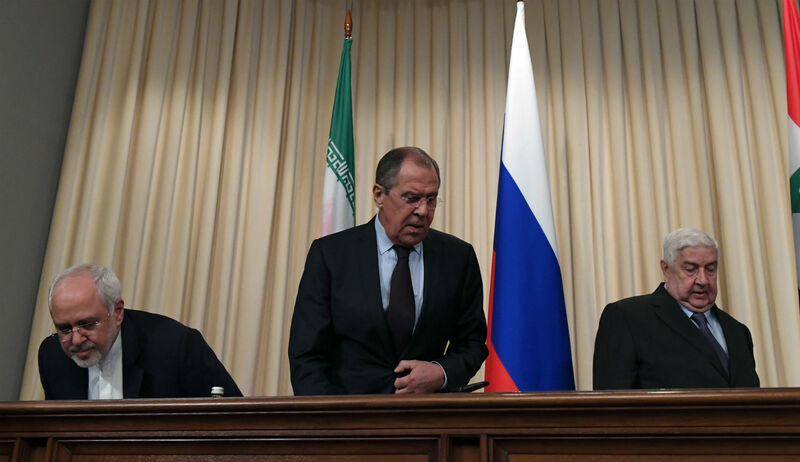 Recognizing the link between the rise of the Russian-Iranian alliance in Syria and the nuclear deal with Tehran is crucially important, not just in order to understand the past but in order to grasp the challenges of the present. Obama’s decisions in 2013 shape Trump’s options today, not least with regard to Islamic State (IS). The goal of turning Iran and Russia into partners in maintaining regional security stamped an indelible imprint on Obama’s counter-IS strategy—the very strategy that he bequeathed to Trump. The fall of the major Iraqi city of Mosul to IS in June 2014 embarrassed Obama deeply. “I said I’d end the war in Iraq, and I ended it,” he had bragged during the 2012 election. The rise of IS proved him wrong, and it compelled him to do the two things that he had resolved to avoid: return military forces to Iraq, and, soon thereafter, to expand their mission into Syria. Obama might have read the rise of IS as clear proof that Moscow and Tehran were incapable of filling the vacuum left by the United States and that, therefore, his vision of a concert system with them was unworkable. But he drew no such conclusion. Instead, he responded to the rise of IS in highly consequential instructions to his national-security team: although the defeat of IS should be the primary strategic goal of the United States in the Middle East, the number of American troops on the ground should be limited to the smallest number possible. In effect, the president tasked his advisers with achieving an expansive military victory—against, be it recalled, an adversary he himself had dismissed as a “JV team”—with relatively minimal exertion. This meant relying, wherever possible, on air power augmented by Special Forces on the ground. It also meant finding proxies who were willing to fight IS so that the United States did not have to do the work itself. At the same time, Obama instructed his team not to undermine state institutions in either Iraq or Syria. The Iraq war had taught Obama that American power should be used to shore up the existing structures, not to topple or reform them. Notably missing from these instructions was any suggestion that the post-IS order should work to the advantage of America’s traditional allies or should in any way contain Iran, by any measure a vastly more formidable adversary, and Russia. To the contrary: as Obama was issuing these guidelines, he was still shepherding the nuclear negotiations to a conclusion; in his eyes, the new counter-IS strategy was another opportunity to demonstrate to Iran the potential of working together. In Iraq, this meant that the United States military operations quickly fell into direct alignment with Iran, which had deeply penetrated the security sector of the Baghdad regime. In the fight against IS, the Iraqi military acted, and still acts, as a buffer between Iran and the United States by deploying some units controlled by the former and others that are close to the latter. This arrangement has allowed the American forces to avoid coordinating with Tehran directly while nevertheless fighting to achieve a common military objective. The hitch is that the Americans have been mainly in the air and the Iran-backed forces on the ground, which gives Iran a greater say in shaping the post-combat political order. In any case, the Americans have clearly been eager to leave as soon as IS is destroyed, whereas Iran makes clear that it is ready to fight for a permanent presence. All in all, then, it is only a slight exaggeration to say that under Obama the American military became the air force for the Revolutionary Guard Corps of the Islamic Republic, and that it continues to perform that function to this day. In the battle for Iraq, Trump proceeded with the plan that he inherited from Obama, choosing to neutralize the IS threat—but in the process paving the way for Iran. When Donald Trump took office in January of this year, the operation to retake the city of Mosul was already well under way. He faced the unpleasant choice of quickly destroying a key IS stronghold or halting the operation until he had a chance to develop a new strategy that would not work so directly to the benefit of Iran. On the basis, presumably, of the principle that half a loaf was better than no loaf at all, Trump proceeded with the plan that he inherited from Obama. In the battle for Iraq, he chose to neutralize the IS threat—in the process paving the way for Iran. The choice was understandable and perhaps, in the circumstances, even wise. Trump may have explained to himself that subordinating the containment of Iran to the struggle against IS was a short-term tradeoff that would be remedied in the longer term. The time to define such a remedy, however, is now, and the place to apply it is Syria. To stabilize Syria and Iraq, the United States has three basic options. The American military can do the job itself; it can outsource the job to its adversaries Russia and Iran; or it can outsource the job to allies. After decades of military intervention in the Middle East, the American people have grown skeptical of unilateral solutions. As the very embodiment of this skeptical attitude, Obama rejected the first and third options in Iraq and, as we’ve seen, put his money instead on building a concert system with adversaries. While Trump shares Obama’s doubts about large-scale American military deployments, his gut instinct appears to be strongly against engaging Iran and for working instead with allies. In the Saudi trip, something of a Trump doctrine started to come into view—and it strongly resembled the old Nixon doctrine. As the American public in the early 1970s grew weary of involvement in Vietnam, Richard Nixon pulled back and sought to deputize regional powers that were aligned with American interests to keep the peace. The Syria challenge, however, as Trump quickly learned, is not amenable to a simple Nixonian solution. In the Saudi trip, a Trump doctrine started to come into view—and it strongly resembled the old Nixon doctrine of deputizing friendly regional powers to keep the peace. The Syria challenge, however, is not amenable to a Nixonian solution. America’s three most militarily capable allies in the Middle East are Turkey, Saudi Arabia, and Israel. These three countries do not share identical interests in Syria. Moreover, deep political and religious differences make cooperation among them difficult, to say the least, and each of them suffers limitations on its ability to project influence into the arena over a sustained period of time. And so, when it came to destroying the stronghold of IS in the Syrian city of Raqqa and clearing the Middle Euphrates River Valley, Trump faced yet another turning point in his struggle with Obama’s legacy: whether or not to empower the Syrian Kurdish militia known as the People’s Protection Units (YPG). The Kurdish solution was highly seductive. Who better than the Kurds to dislodge IS from Syria? The only regional ally that Trump might have turned to was Turkey. Its army, however, was in no state to do the job, and relations between Washington and Ankara are strained. It will take many months, perhaps years, of assiduous work to regain the strategic cooperation that once existed between the two capitals. The only other possible alternative, therefore, was the direct application of American power: an unattractive option at best and one that also entailed an especially high price for Trump. Among his most loyal base, the idea of deploying American ground troops to Syria has become almost synonymous with “globalist boondoggle”: the kind of nation-building enterprise that led Bush down the rabbit hole in Iraq. Compared with that liability, the Kurdish option appeared nearly free. The Kurds were ready to do the job, and came with no debilitating ties to Iran and its proxies. For Trump, then, choosing to go forward with the Kurdish option was almost a no-brainer. But the Kurds are, at best, a temporary fix. When calculating the YPG’s role in a new order, it would be safer to think of them as mercenaries, guns for hire, than as long-term allies. Their strategic goal is to borrow American power in order to carve out Rojava, an autonomous canton that they aspire to build in northern Syria. Raqqa falls outside the envisioned boundaries of Rojava. Liberating it for America is a price the YPG is willing to pay in order to gain international legitimacy and power on their way to achieving their dream. According to the Obama strategy, shortly after the YPG destroys IS, the American forces recede over the horizon. But the moment American Special Forces leave eastern Syria, the YPG will gravitate, ineluctably, into the Russia-Iran-Assad camp. The YPG’s migration is a certainty because Rojava cannot stand up on its own and Turkey, its strongest neighbor, is also its sworn enemy, dedicated to keeping it down. Without the Americans, the YPG will have no alternative but to turn to Russia and Iran—which is why, seeing this scenario with the greatest of clarity, the YPG leadership has taken care to maintain, wherever possible, cordial relations with the Russian-Iranian camp. Because the Russians and Iranians see reality with equal clarity, they have never been particularly troubled by Obama’s YPG gambit. Once the Americans retreat, the Russians and Iranians will swoop down and scoop up the YPG as an ally, thus becoming the primary arbiters of the Kurdish question and accruing additional, direct leverage over Ankara. As for the Turks, the rise of Rojava is a threat both foreign and domestic. The need to manage it through Moscow and Tehran will put intense pressure on President Recep Tayyip Erdogan to move closer to them and still farther away from Turkey’s NATO partners. In fact, that development is already well under way in the so-called Astana process, a series of trilateral initiatives by Moscow, Tehran, and Ankara to bring peace to Syria. Upon close inspection, therefore, Obama’s beguiling Kurdish option turns out to carry hidden costs—and very high ones. It gives Moscow and Tehran a new, sharp wedge to drive between Turkey and its NATO partners, and it builds up and strengthens a new actor, the YPG, only to hand it off to Moscow and Tehran. If that is not bad enough, the Kurdish option also fails to solve, in the long run, the immediate problem for which it recommended itself: liberating Raqqa and all IS-held territories to its south with a temporary deployment of a small number of American forces. Those territories are ethnically Arab, not Kurdish. The Kurds might be able to clear Raqqa, but they will not be able to govern it. That’s the job the Obama’s strategy relegated to the Syrian Democratic Forces (SDF), a coalition force consisting of YPG fighters and Arab tribesmen. This multi-ethnic, multi-religious coalition, however, is not an organic entity sprouting from the Syrian soil that Obama simply stumbled across. It was and is an artificial product of his strategy, and its cohesion is almost entirely a function of American military power. Absent the continuation of direct American support, the SDF will likely disintegrate. In the event that it does not crumble, it will simply follow the YPG into the Iranian-Russian camp. These likely outcomes lead to three main scenarios for northern and eastern Syria after the fall of IS and the departure of the American troops. The first is a grand partnership between the YPG and the Russian-Iranian axis. The two sides will delineate zones of direct military control while arriving at a series of political and economic arrangements among the zones, all of which will shelter under Russian air defenses. The second scenario flows from the first: the Russian-Iranian axis will align with the YPG, but will also use the alignment simultaneously to threaten and appease Turkey. It will place a rump Rojava under its protection, but will also cede territory in northern Syria to Ankara, which fears that Rojava will otherwise become an external base for a Kurdish insurgency inside Turkey. In the third scenario, Turkish President Erdogan will simply invade northern Syria and present Moscow and Tehran with a fait accompli. Here again the YPG will migrate into the arms of the Russian-Iranian axis. In all three scenarios, the Iranians will expend considerable effort, in the name of the Assad regime, to tighten their grip on the city of Deir Ezzor—because of the oil wealth in the surrounding province and because of its proximity to the Iraqi border. Assuming that the SDF crumbles after the Americans leave, the Arab areas of the Middle Euphrates River Valley will fall back into a state of anarchy, which Islamic extremists—call them IS 2.0—will again exploit. Unless American forces remain in the Middle Euphrates River Valley, it is nearly impossible to imagine how the Russian-Iranian axis fails to become either a primary or the primary arbiter of the Kurdish question in Syria, and how the United States becomes anything other than a hapless bystander. All the likely scenarios, therefore, lead to a significant weakening of the ties between NATO and Turkey—a major strategic goal of both Moscow and Tehran. Since the discovery, in 2003, that it had been concealing enrichment and reprocessing activities, the Islamic Republic has proved adept at mounting a highly effective asymmetric challenge to America—a challenge the United States has underestimated at every turn. Not only has Iran forced the international community to grant legitimacy to an industrial-sized program for enriching and reprocessing uranium, but thanks to a network of lethal proxies—in Syria, Lebanon, Gaza, Iraq, the Persian Gulf, Yemen, and Afghanistan—it has developed a credible deterrent to any conventional attack against its nuclear infrastructure. 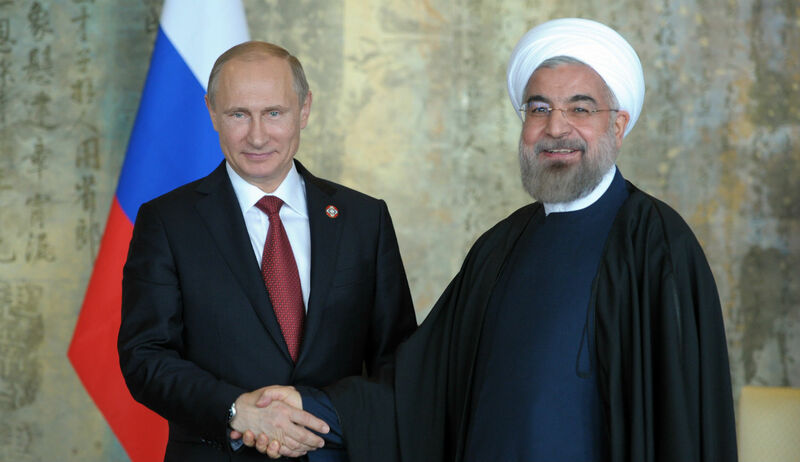 With the help of Putin’s Russia, Tehran will certainly continue to expand and strengthen this network while working to shape the emerging regional order to its benefit and to the detriment of the United States and its allies. Both Moscow and Tehran are concentrating their efforts on Syria, where they have entered into a strategic alliance dedicated to shoring up the Assad regime. Strengthening and expanding that regime is a vital interest for both parties. To achieve it they have divided the labor equally between them: Russia provides the air support, and Iran deploys the forces on the ground. Neither can achieve its key goal without the other. They are conjoined twins sharing the same vital organs. The reason Obama’s strategy could never have worked is that it was based on a fanciful understanding of both the intentions and capabilities of Russia and Iran, an understanding fed by the latter’s propaganda machines and swallowed eagerly by foreign-policy elites in both the United States and Europe. In this reading, Moscow and Tehran shared a vital interest with the West in defeating Islamic State, were protecting Christians in Syria, Lebanon, and Iraq, and stood, in general, for a more tolerant and pluralistic Middle East. To Europe in particular, they were seen as partners in solving the refugee crisis roiling the continent. These claims were almost entirely false. Moscow and Tehran were and are allies who see themselves as locked in a strategic competition with the United States and its allies: a struggle for regional mastery. Causing America pain is not necessarily the first goal of every major action that they undertake, but it is never far from their minds. For the Iranians, establishing positions of power in northern and eastern Syria will enable them to complete their so-called “highway” from Tehran to Beirut. They covet this path to the Mediterranean not in order to facilitate transportation but, rather, to build a corridor of unbroken political control, a geographic base from which to expand their regional influence and solidify the weakening of the American position in the eastern Mediterranean. Ditto for the Russians, now busy modernizing, expanding, and fortifying their naval base at Tartus on the Syrian shoreline and their airbase at Latakia another 50 miles up the coast. Even if the Russians and the Iranians were sincerely desirous of cooperating with the West, what have they to offer? They possess no economic assets to bring to the fight. In politics they are cunning but never enlightened, in military affairs as subtle as a sarin-gas attack. To express their supposed commitment to interfaith harmony in Syria and Iraq, they have resorted to the wholesale slaughter of Sunni communities. To them, the phrase “major counterterrorism operation” means, literally, the destruction of half of a major city. Anyone who doubts this should look at pictures of Homs, Hama, Aleppo, and Mosul. Actually defeating Sunni Islamic radicalism of the IS and al-Qaeda varieties will require working with Sunni actors who share our interests. In Syria, however, the Iranian-Russian alliance, a vicious sectarian force, bears the lion’s share of responsibility for the displacement of approximately half the country’s population. In Europe today, there is great hope that the victory of the Russian-Iran alliance in Syria, for all its evils, will at least spell the return of Syrian refugees to Syria. The Europeans should think again. Having cleared Syria’s cities of millions of Sunnis, Moscow and Tehran will gladly absorb European reconstruction money but have no interest in solving Europe’s dilemma. On the contrary, it benefits them in many areas simultaneously. Therefore, they will never let the displaced Sunnis return home. “The stabilization and reconstruction of Syria” is a decrepit old donkey that Assad and his Russian and Iranian patrons will sell to the Europeans over and over again. “The stabilization and reconstruction of Syria” is a decrepit old donkey that Assad and his Russian and Iranian patrons will happily sell to the Europeans over and over again. It was the failure to recognize these elementary truths that led Obama to believe that Russia and Iran could fill the vacuum left by the United States. The implications of that failure continue to be lost on a surprising number of highly sophisticated observers today. In recent years, a popular view within the American foreign-policy establishment has held that Russia and Iran are merely “allies of convenience” in Syria; that there are considerable tensions between them; and that, given the right set of inducements and punishments, American policy can split Russia from Iran or, alternatively, convince Russia to put brakes on the worst behavior of the Iranians (like threatening Israel with extinction). The same overlap in thinking may have prompted Trump to adopt or acquiesce in other key elements of Obama’s strategy. He may believe, for example, that Iran is the junior partner in the Russian-Iranian relationship and that, through a carefully calibrated approach, he can reach a strategic accommodation with the senior partner that will both stabilize Syria and constrain Iran. Or perhaps he is uncertain as to whether Vladimir Putin can or will play such a role, but calculates that the prudent course is to put the Russian leader to the test before concluding that there is no hope of cooperation. takes almost none of Israel’s security interests into account, and it creates a disturbing reality in southern Syria. The agreement doesn’t include a single explicit word about Iran, Hizballah, or the Shiite militias in Syria. Over the next weeks, Netanyahu continued to sound the alarm, dispatching an Israeli delegation to Washington to press his case directly. “We rushed here to warn of the deployment of Hizballah, Iranian, and Syrian forces; to explain exactly what’s going on there,” one member of the Israeli delegation stated. Just what, if anything, was decided at the talks is not clear. Some Israeli sources claimed to be buoyed by the attitude of the Trump administration; others bemoaned the “lack of a clear [American] position.” Meanwhile, Netanyahu himself traveled to Moscow to express his concerns directly to Putin—in a meeting that, again reportedly, produced no agreement. Still, even if Trump’s stance toward Russia is overly optimistic, it nevertheless marks a significant improvement over Obama’s policy. Recognizing Syria as a Russian-Iranian sphere, Obama backed away from enforcing his own redline regarding Assad’s use of chemical weapons, and scrupulously avoided any attacks on Syrian government assets. Moreover, as he worked to achieve the nuclear deal, his team sought to discredit Netanyahu personally in order to nullify the criticisms emanating from Jerusalem. Under Obama, therefore, Moscow and Tehran could confidently expect not only that Israeli complaints would be ignored but that Washington would actively help them deter Israel from intervening in Syria. By contrast, Trump opened his dialogue with Putin on Syria with a show of American force. On April 6, he ordered the Navy to fire 59 missiles at a base used by Assad to launch a chemical attack that killed 72 people. The operation had no impact on Assad’s war-making ability, and Trump warned the Russians in advance of the attack, but politically it was a significant act. Trump was sending a message: although the new administration was still open to cooperation with Russia in Syria, it would not hesitate to take decisive military steps if Moscow ignored its interests. This more assertive posture coincided with the shift in American policy in the direction of traditional allies, Israel foremost among them. American diplomacy under Trump will be more amenable to Netanyahu’s calculus of deterrence and more willing to endorse it. In theory, Israeli and American deterrence of Russia and Iran is now mutually supportive—a development that, however, can only mature if the two parties create a common picture of the Russian-Iranian relationship, and the challenges and possibilities that it presents. Iran, through the Revolutionary Guards, is trying to create a new reality around us with Iranian air and naval bases in Syria, with Shiite militias with thousands of mercenaries and precision weapons being produced in Lebanon. The state of Israel does not intend to remain a bystander and accept these attempts. If it has not already done so, the Trump administration would be wise to deepen its own understanding, and its credibility, by taking a page from the Israeli playbook, and meaning it. In the Middle East, nothing is more permanent than the temporary. Dealt a losing hand by Obama, Trump has already made seemingly tactical decisions that will have lasting, perhaps permanent, strategic implications. Reversing them will be hard in the best of cases, but the effort will grow even more difficult the longer he waits. If his administration does not soon devise a clear strategy for competing vigorously with Tehran, to say nothing of Moscow, he risks following Obama’s policy of facilitating the rise of the Russian-Iranian alliance—while intending to reverse it. If the Trump administration does not soon devise a clear strategy for competing vigorously with Tehran and Moscow, it risks following Obama’s policy of facilitating the rise of their alliance—while intending to reverse it. The conclusion of the nuclear deal and Obama’s alignment with Iran created a widespread impression, at home and in Europe, that Iran was actually cooperating with the United States, when in fact it never dropped its hostility. In a sense, therefore, the key question before the Trump administration is: what is the best way to convince the world of the malignant nature of Iranian ambition, the threats it poses to the United States and its allies, and the steps that must be taken to combat it? One school of thought calls for declaring Iran non-compliant with the nuclear deal and re-imposing economic sanctions on it. This approach, however, suffers from the fact that, as we have seen, many influential actors, including elements of the United States national-security establishment and key allies, do not agree that Iran is in serious violation of the agreement. In addition, this approach concentrates attention on the Iranian nuclear program at a moment when the greatest and most immediate threat is instead posed by Iranian expansionism in the Middle East and beyond: its support for terrorism, subversion of neighboring countries, establishment of regional militias, and development and sharing of missile technology. Today, the center of gravity of Tehran’s struggle for regional mastery is Syria. The most urgent priority of the administration, therefore, should be thwarting Iran’s ambitions to solidify its position in that country. This is a goal around which Trump can organize an international coalition—one that would include actors willing to devote significant resources to achieving it. Inflicting pain on Iran in Syria and blocking its ambitions in that country are, moreover, tasks that will require only a relatively modest exertion of effort. (2) Do not identify the primary strategic goal of the United States as any of the following: defeating IS or Islamic extremism more broadly; stopping the war; or saving Syria. These are indeed laudable goals, but they do not constitute the totality of the American interest. In prioritizing any one of them, the United States inevitably falls into Obama’s trap of abetting the rise of Iran (and Russia). (3) Instead, define the strategic goal as building a stable order in the region—one that will simultaneously prevent the revival of Islamic State and contain Iran. The United States must signal clearly that it will not leave Syrian territory until it is satisfied not just that IS is defeated but that the post-conflict Syrian government will present no threat to peace and security, especially by offering its territory as a base for Iranian expansionism. It must also signal its determination to contest Iranian influence everywhere. Governments must know with certainty that their warm relations with Iran will generate cold relations with the United States. (4) Do not make an urgent priority of de-certifying Iran for failure to comply with the nuclear agreement. The United States must first regain lost leverage and position itself to handle the consequences that de-certification will inevitably generate. Regaining that leverage requires, first and foremost, reestablishing a robust military deterrence, which is the most essential ingredient of a successful regional strategy. No serious goal that America seeks to achieve, including revising the nuclear deal, will be within reach until Tehran truly fears its military might. In addition to degrading America’s deterrent, Obama embedded the biggest and most damaging concessions to Iran in the front (and back) end of the 2015 deal. Respecting that agreement until Washington has regained lost leverage and is ready to overturn it will not damage American interests more than they have already been damaged. President Trump, however, should make abundantly clear, in a major address, that the agreement—because it grants Iran an unfettered nuclear capacity in a relatively brief period of time—is manifestly not in the national-security interests of the United States and its allies. In doing so, he might further point out how, during the negotiations over the deal, fear that the Iranians might torpedo it at the last minute, and then after the deal’s completion that they might retroactively scuttle it, is what led the Obama administration repeatedly to turn a blind eye to Iranian aggression across the Middle East, a fateful and reverberating error in judgment that the Trump administration aims to correct immediately. (5) Work with Congress to publicize Iran’s support for terrorism and its development of ballistic missiles, and to punish these and other malign behaviors by imposing significant new economic sanctions on it. (6) Stop defining the strengthening of the regimes in Damascus and Baghdad as a fundamental principle of American policy. 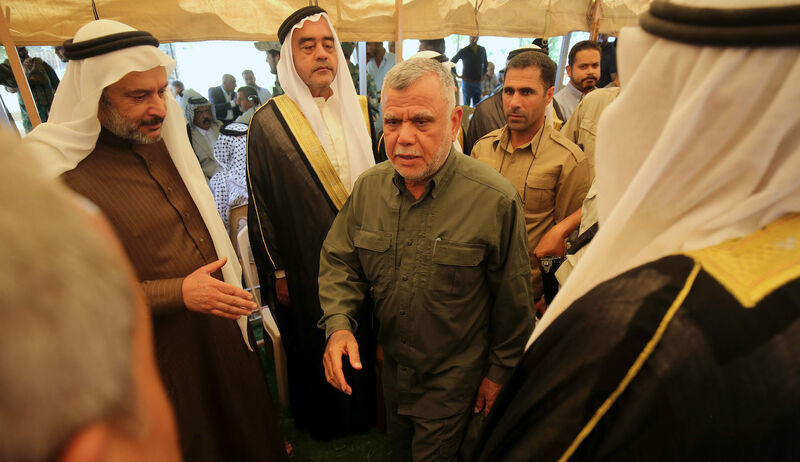 Damascus is a wholly owned subsidiary of Iran and Russia, and Tehran, as we have seen, has so deeply penetrated Iraqi security services that Baghdad cannot serve as an effective pillar against it. Washington should search, instead, for leverage over both the Iraqi and Syrian governments by cultivating ties with militias and other autonomous actors on the ground. In Iraq, this approach might entail, for example, working to rebuild relations with the Sunni tribes that flourished at the height of the 2007 “surge.” Or it might call for partnering with the Turkish government to develop more independent relations with the Iraqi Kurds—relations that circumvent rather than empower Baghdad. In Syria, the approach would demand a more direct role for the United States in creating and guiding governing councils for the towns in the Middle Euphrates River Valley liberated from IS. (7) Seek from Congress an authorization for the use of military force in Syria against Iran and its proxies, and for increasing troop levels in that country. This step will certainly be very hard to execute, because the use of force in Syria is unpopular on both sides of the political aisle, and because the issue of modifying existing authorizations is already fraught with controversy. Yet, precisely because they know with certainty that Washington will act with restraint, the Iranians have been imperiling vital American goals with small numbers of ill-trained troops. An authorization of force against Iran will send Tehran and Moscow a signal that the gloves are off, and thereby render a satisfactory diplomatic outcome more rather than less likely. (8) Take immediate and aggressive action to deny the Assad regime as much of the Middle Euphrates River Valley—from Raqqa to Al-Bukamal—as possible. Control of this area will not only prevent the Iranians from establishing their so-called “highway” from Tehran to Beirut but also dislodge both them and, behind them, the Russians from a position as the primary arbiters of the Kurdish question in Syria. The latter is a key factor that will in turn influence the future orientation of Turkey. If establishing the United States as the unchallenged arbiter of the Middle Euphrates River Valley is crucial to keeping Turkey in NATO, it is also vital to deflecting a reestablishment of IS. 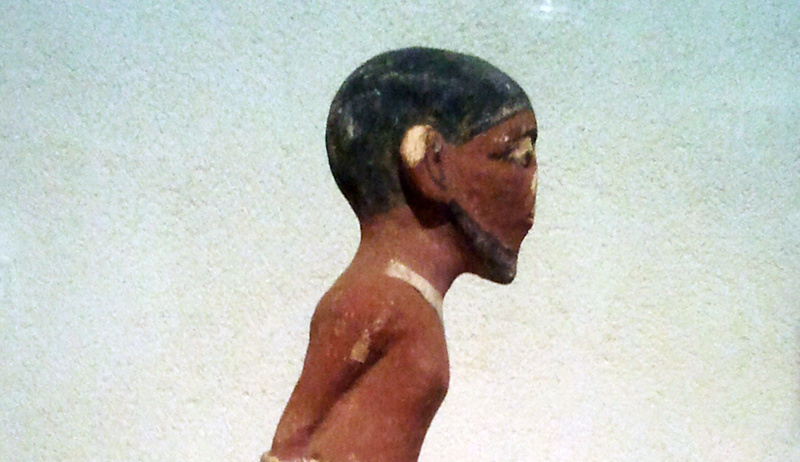 The tribal political actors in that part of Syria are innately fissiparous. Any suggestion that the United States has no intentions of staying until a stable order is reestablished will inevitably set off a new contest for supremacy—a war after the war. Washington should therefore consider building and maintaining a forward operating base in the area as a sign to the local population, as well as to the regional powers, that it is every bit as intent on making its influence felt in the region as are the Iranians and the Russians. (9) Support, aggressively, the Israeli demand to prevent the Iranians and Hizballah from expanding their presence in southern Syria, along the Israeli and Jordanian borders, and entrenching themselves in Syria more broadly, including through the construction of missile bases and a naval port. (10) Work to convince our European allies that the containment of Iran is in their interest. Aggressively counter the European belief that a quick end to the fighting will help to solve the refugee crisis. This wishful thinking is generating eagerness in some quarters to begin delivering aid to the Assad regime to help it rebuild the country. The first principle of a common European approach should be to funnel aid solely to parts of Syria that are under the umbrella of American power. Aid to Assad-controlled areas should be contingent on a Russian-American agreement on a political settlement in Syria—an event that, if it ever arrives, will likely be a long time in coming. Were the Trump administration to take all or most of these steps, it would significantly contribute to the necessary task of beginning to compete against Iran, but not so aggressively that war will likely result. By making Iran the avowed target of its deterrence, the Trump administration could still leave space for engaging with Moscow in the effort to find a constructive solution to the Syrian crisis, but from a position of much greater strength. The main change would be this: by ceasing to aid and abet the rise of the Russian-Iranian alliance, the United States would, in the fullness of time, be able to witness that alliance’s decline and death from attrition and other natural causes—no longer indulged, deliberately or inadvertently, by the miscalculations and wishful thinking of American policy makers.